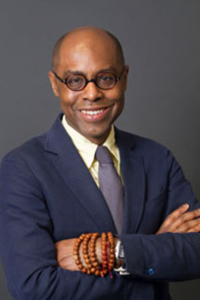 Starting fall 2016, Aderson Francois, Professor of Law, will direct the Civil Rights Section of the Institute for Public Representation (IPR) and the Voting Rights Institute. Prior to joining the Georgetown faculty, Professor Francois directed the Civil Rights Clinic at Howard University School of Law, where he also taught Constitutional Law, Federal Civil Rights, and Supreme Court Jurisprudence. His scholarly interests include voting rights, education law, and the history of slavery and Reconstruction. His practice experience encompasses federal trial and appellate litigation concerning equal protection in education, employment discrimination, voting rights, marriage equality, and the right to a fair criminal trial. Professor Francois received his J.D. from New York University School and clerked for the late Honorable A. Leon Higginbotham, Jr., Chief Judge of the United States Court of Appeals for the Third Circuit. In 2008, the Transition Team of President Barack Obama appointed Professor Francois Lead Agency Reviewer for the United States Commission on Civil Rights. He has provided pro bono death penalty representation to inmates before the United States Court of Appeals for the Fifth Circuit, served as a Special Assistant in with the United States Commission on Civil Rights in Washington, D.C., and practiced commercial litigation in the New York Offices of Paul Weiss Rifkind Wharton & Garrison. He has testified before Congress on civil rights issues and drafted numerous briefs to the United States Supreme Court, the Supreme Court of California, the Supreme Court of Iowa, and Maryland’s highest court. Before joining Howard’s faculty, Professor François was the Assistant Director of the Lawyering Program at New York University School of Law. Reply to the Opposition to Petition for a Writ of Certiorari, Vico v. United States, No. 17-685 (U.S. Apr. 12, 2018). Petition for Writ of Certiorari, Franklin-Mason v. United States, No. 17-1256 (U.S. Mar. 5, 2018). Brief for Votevets Action Fund as Amicus Curiae in Support of Respondents, Husted v. A. Philip Randolph Institute, No. 16-980 (U.S. Sept. 22, 2017). Brief Amicus Curiae for the Georgetown University Law Center Chapter of the Black Law Students Association in Support of Respondents, County of Los Angeles v. Mendez, No. 16-369 (U.S. Feb. 22, 2017). Brief of Amici Curiae Reagan Greenberg, Achim Howard, Alexa Rodriguez, Jeymee Semiti, Avatara Smith-Carrington, Savanna Wanzer, & Sam Williamson in Support of Respondent, Gloucester Cty. Sch. Bd. v. G.G., No. 16-273 (U.S. Mar. 1, 2017). "Bad News for Alex Jones: Defamation Case Over Charlottesville Theories Gets Green Light," coverage in The National Law Journal, March 29, 2019, featuring Professor Aderson Francois and Andrew Mendrala, Supervising Attorney, Georgetown Law Civil Rights Clinic. "Defamation Case Over Jones' Charlottesville Theories Green-Lighted," coverage by AmLaw Litigation Daily, March 29, 2019, quoting Supervising Attorney Andrew Mendrala, and including Aderson Francois, Brianne Gorod and Elizabeth Wydra fromt the Civil Rights Clinic. "Ben Carson’s HUD dials back investigations into housing discrimination," coverage in The Washington Post, December 24, 2018, featuring Professor Aderson François. "Trump judicial nominee fumbles basic questions about the law," by the Washington Post, December 15, 2017, quoting Professor Aderson Francois, Director of the Institute for Public Representation Civil Rights Law Clinic. For more on this story, see the Washington Examiner.